Dyslexia is a specific learning disability (LD) that is neurologically based. It is language-based and makes learning to read, spell, decode, and recognize words challenging. As a result, reading comprehension, vocabulary, and general knowledge is reduced compared to other children the same age who do not have dyslexia. Remember, dyslexia is not a reflection of intelligence. Most people with dyslexia have normal or above average intelligence. ADHD and dyslexia are known to frequently co-exist together. Dr. Russell Barkley explains in his book Taking Charge of ADHD: The Complete Authoritative Guide for Parents that children with ADHD are more likely to have a learning disability than children who do not have ADHD. The most common LD is dyslexia. It can feel difficult to know which challenges are related to ADHD or to dyslexia. Although ADHD involves attention and dyslexia affects reading, the conditions can look similar. Here are three examples. Both children with ADHD and dyslexia can appear distracted; however, the reason behind the distraction is different. A child with ADHD might appear distracted because it is difficult for them to pay attention., while a child with dyslexia might seem distracted because reading requires a great deal of effort and their energy has dwindled. Fluent readers are able to read with accuracy, relative speed and, if reading aloud, add expression to the words. In order to comprehend what they have read, a child needs to be able to read fluently. A child with ADHD might not be a fluent reader because they lose their place or skip endings because their fast brain has raced on to the next part. Someone with dyslexia might not be a fluent reader because they spend a long time sounding out each word or reading words incorrectly. Whatever the cause, both affect the reader's ability to understand what they read. It also means reading is not an enjoyable activity for them. Writing and penmanship can also be problematic. 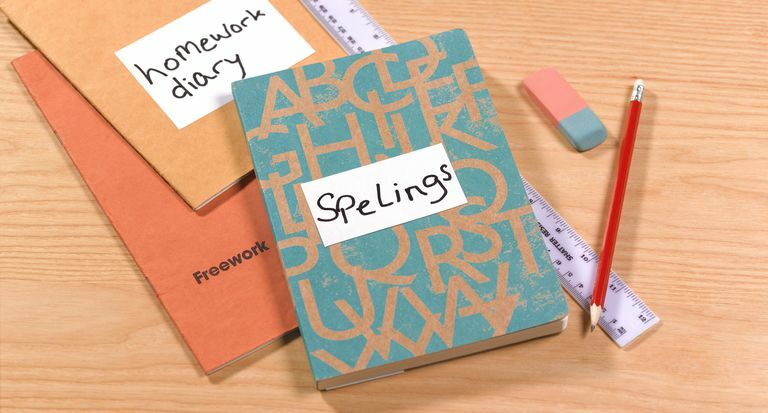 Someone with ADHD might have problems with organization and proofreading, while a child with dyslexia has problems with spelling, grammar, organizing ideas, proofreading, and handwriting. A good way to distinguish the two conditions is to remember that dyslexia problems occur mostly during reading and writing activities, whereas ADHD symptoms appear in many settings and are more behavioral in nature. In the past, ADHD and dyslexia were viewed as being independent of each other. However, as Dr. Thomas E. Brown explains in his book A New Understanding of ADHD in Children and Adults that recent research has shown that the executive function impairments related to ADHD are also associated with dyslexia. ADHD and dyslexia are separate conditions; however, if a person has both, it means they have the broad executive function impairments (problems focusing, using working memory, etc. ), as well as an impairment of the particular skills needed for reading, for example, processing symbols swiftly. Some people say they have math dyslexia. This is not an official term, however, since not many people have heard of dyscalculia (a math disorder), saying ‘I have math dyslexia’ is a simple way to describe their condition. The two conditions are diagnosed differently and often by different professionals. ADHD is considered a mental disorder and diagnosed by a psychiatrist, psychologist, neurologist, and some family doctors. Dyslexia is an educational issue rather than a medical issue so is typically not diagnosed by medical professionals. However, sometimes a developmental pediatrician can diagnose dyslexia if they have had training in cognition and learning. Typically a clinical psychologist, school psychologist, educational psychologist, and neuropsychologist all diagnose dyslexia. Since dyslexia is not a medical condition, an evaluation for dyslexia is not usually covered by medical insurance. The severity of dyslexia varies from mild to severe, which is also true of people with ADHD. This means no two people will have symptoms that are exactly the same. There are various specialized dyslexia reading programs. They are often based on or include elements of the Orton-Gillingham approach. Samuel Orton and Anna Gillingham were reading and language mastery pioneers. In the 1930s Gillingham published detailed instruction materials to help with reading, writing, and spelling. It has since become the most researched approach to date. Not all reading programs are helpful for dyslexic students. Look for ones that include phonemic awareness, fluency and detailed guidelines for spelling rules. Your child’s school may have specially trained teachers that can provide the help they need. However, not all schools do, in which case you could find a special tutor to work with your child after school. Accommodations in school for ADHD and dyslexia are very helpful for your child to be able to achieve their academic potential. Dyslexia and developmental Dyslexia are the same conditions. Usually, when someone says dyslexia they are referring to developmental dyslexia, a condition that is inherited. The other type of dyslexia is acquired dyslexia, which means a person became dyslexic due to a brain lesion such as after experiencing a traumatic brain injury or having a stroke. This can happen with ADHD too. Most people inherit ADHD from a family member, yet a small portion of the population might acquire ADHD symptoms, either prenatally or during development, due to a variety of causes that may damage the brain. Identify: When children know they have a condition with a name, like ADHD and dyslexia, it helps them. They understand why they are the way they are, and it stops them looking for explanations for themselves, which are often terms like ‘I am stupid’ and ‘I am dumb." Effort, Not Results: Give your child positive feedback on the effort they put into a task rather than their results or grades. A child with dyslexia and ADHD has to work harder than other students, yet that effort is not always reflected in their grades. Knowing that their effort is recognized by you makes a big difference to a child’s self-esteem. Activity Outside of School: When your child shows an interest in an activity outside of school, encourage it. Being good at something -- whether it is a martial art, a sport, arts or crafts -- builds confidence. It has a positive ripple effect on other areas of life, ​including school-related activities. Neither ADHD nor dyslexia can be cured. However, they can both be treated and managed so your child can live a successful life. Children often get a great deal of hope and validation when they hear of famous people who face the same challenges as they do. For example, Steven Spielberg has dyslexia, Justin Timberlake has ADHD, and Richard Branson has both ADHD and dyslexia. When you are learning about dyslexia, a common message is ‘early intervention is key.’ Early detection of any condition is of course helpful. However, if you realize your child has dyslexia while they are older, do not feel guilty. It is never too late to get tested and seek the appropriate treatment. If your child has ADHD and dyslexia, the ADHD symptoms can mask the dyslexia tell-tale signs. Also, an intelligent child finds ways to compensate and mask their difficulties, which makes detection harder for you. If you are reading this as an adult and think you might have dyslexia, you can still get a dyslexia evaluation. Even if you are no longer in school or university, understanding the root of your challenges is helpful for your confidence and self-esteem. Russell A. Barkley, PhD. Taking Charge of ADHD. The Complete Authoritative Guide for Parents. The Guilford Press 2013. Brown, E.T. A New Understand of ADHD in Children and Adults: Executive Function Impairments. Routledge; 2013.